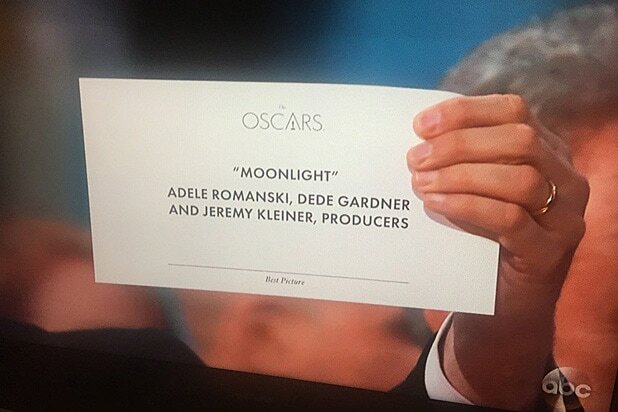 No one was prepared tonight for what may have been the biggest on-stage mistake in the history of the Oscars, when "Moonlight" took home the award for Best Picture -- only after it was first mistakenly given to "La La Land." 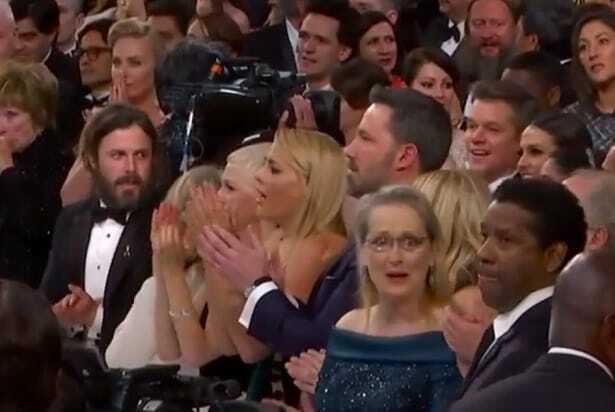 Here are the best reactions from the stars at the Oscars. 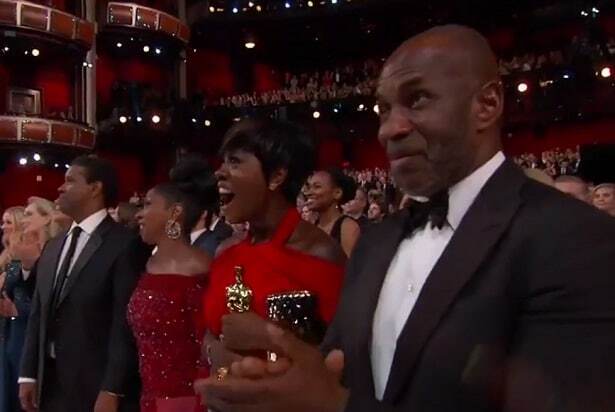 Viola DavisHolding her own Oscar in hand, Davis is clearly thrilled for everyone involved with "Moonlight" -- as is her husband, Julius Tennon. Meryl StreepMore than anyone, Streep was absolutely floored by the Oscar stage Best Picture flub. Taraji P. HensonHenson was filming the moment on her phone, but couldn't wipe the shocked look off her face as "Moonlight" won. Nicole KidmanBoth Kidman and Keith Urban were ecstatic to hear the "Moonlight" news. Denzel WashingtonWashington's face conveyed nothing but pride as the "Moonlight" cast and crew took the Oscar stage. Busy PhilippsIt's possible Philipps could be more thrilled at "Moonlight" taking Best Picture, but it sure doesn't look like it. Janelle MonaeFrom the Oscar stage, Monae celebrated the "Moonlight" win, putting into action the feelings of a huge number of people across the Internet. Matt DamonDamon broke out the two-finger dad whistle to share his approval of the "Moonlight" win. Octavia SpencerSpencer beamed over the "Moonlight" win, adding her applause. Dwayne "The Rock" JohnsonThe Rock is all smiles as the Best Picture announcement goes out. Samuel L. JacksonThe angle was a bit obscured, but Jackson took a photo with his phone of the amazing Best Picture moment, and then appeared to wipe away a tear.